NOTES: The Predators improved to 5-2 at home in Game 2 all-time with their first home playoff win since Game 2 of their second-round series last spring against Winnipeg. Nashville improved to 8-8 in post-season overtimes. 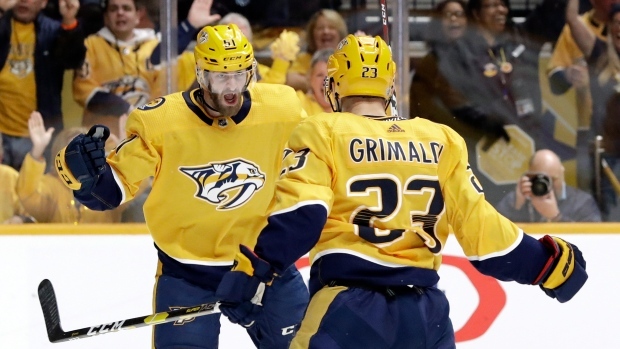 ... Smith tied James Neal, Viktor Arvidsson and David Legwand for most game-winning goals in the playoffs. ... Grimaldi played his first post-season game since April 2016 with Florida. ... Benn now has at least a point in 10 of his 11 career post-season games on the road with four goals and nine assists.